Fujifilm To Acquire Photocopying Pioneer Xerox In A $6.1 Billion Deal : The Two-Way The deal signals the end of independence for a once-iconic U.S. company. Tokyo-based Fujifilm said it will cut 10,000 jobs as part of the restructuring of its 56-year-old joint venture with Xerox. The logo of Fuji Xerox Co., the joint venture between Fujifilm Holdings and Xerox, is displayed outside the company's headquarters in Tokyo. Xerox is one of the United States' most recognizable companies — its name is synonymous with "photocopy." Now, the company that pioneered the computer mouse and other office technology will shed its independence, and come under the Japanese company Fujifilm's control in a $6.1 billion deal. Fujifilm and Xerox established the Fuji Xerox joint venture in 1962. Fujifilm owns 75 percent of that joint venture. In the deal announced Wednesday, Fuji Xerox will buy back that stake from Fujifilm, and Fujifilm will use those profits to purchase 50.1 percent of Xerox shares. The new $18 billion company, also named Fuji Xerox, will have dual headquarters in Norwalk, Conn., and Tokyo, and trade on the New York Stock Exchange. Xerox has been under pressure to find new sources of growth as email and digital sharing services such as Dropbox have hurt the demand for printing and photocopying. As then-Xerox CEO Ursula Burns told NPR in 2012, "The world is changing. We all know this. And as that world changes, if you don't transform your company, you're stuck." Fujifilm also said it will cut 10,000 jobs as part of the joint venture's restructuring. The joint venture had over 47,000 employees, according to its website — meaning the layoffs would slash its workforce by more than a fifth. 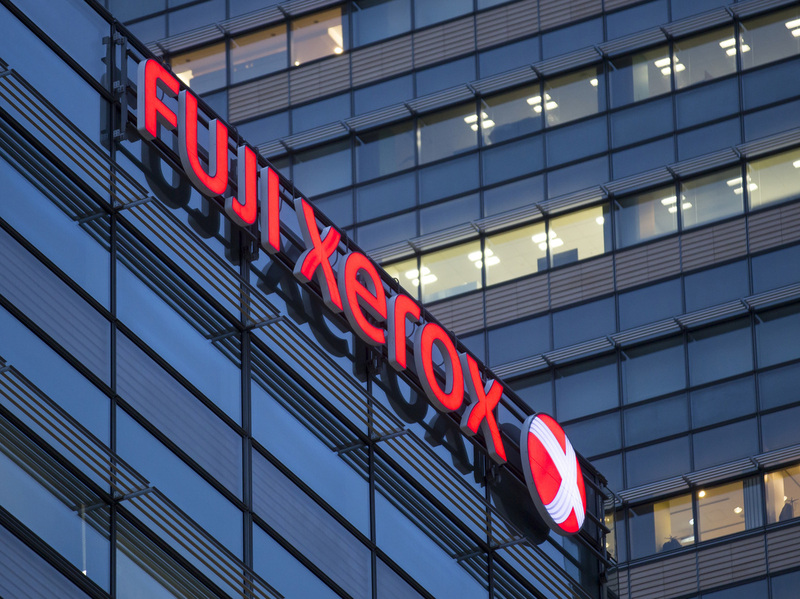 "The market environment surrounding the company's subsidiary Fuji Xerox has grown increasingly severe," Fujifilm said in a statement. A spokesperson from Fujifilm told NPR that the job cuts will be in the Asia Pacific region only.